This microcontrller project build using micrcontroller AT mega 8 and Xtal 12 MHz as the clock source. "If you like to play video games in your computer as much as I do, you probably already heard about the MJoy, which is an USB joystick made by Mindaugas that uses an ATmega8 and have 24 buttons, one hatswitch (or POV or D-Pad depending on the game) and 6 analog axes." said Raijuu. 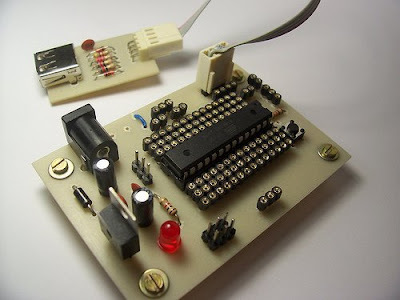 More information about this microcontroller project check the source here.